Internet Protocol Security (RFC 4301) is vendor-agnostic. It is a collection of protocols and methods that encrypt traffic. By design, IPSec supports IPv4 or IPv6. Any upper layer protocols that run on IP may be encrypted with IPSec. IPSec provides data confidentiality, data integrity, origin authentication, and anti-replay services. This makes is a popular choice to use across an insecure network, such as the internet. IPSec is independent of specific encryption algorithms. It can support several cryptographic methods, such as AES, DES, and so on. The purpose of this article is to provide a very basic understanding of IPSec. For this reason, IKEv1 in main mode will be primarily discussed. The alternative to main mode is aggressive mode. The Authentication Header (AH) provides data integrity and origin authentication. That is, AH provides security for the packet headers. This verifies that the data is not altered in transit, and that the data is coming from the correct source. The Encapsulating Security Payload (ESP) protocol provides data confidentiality. It prevents tampering with the packet payload. This is the encryption of the main body of data (the payload) that is in transit. A Security Association (SA) is a collection of procedures and parameters. Security devices agree on these parameters when creating a connection. 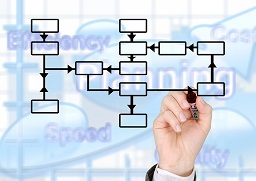 The SA provides the framework for AH and ESP to work. As part of the SA establishment, the devices are authenticated and keys are exchanged. Internet Security Association and Key Management Protocol (ISAKMP) does this. ISAKMP is only a framework., IKE does the actual key exchange. Internet Key Exchange (IKE) is key management. This is a method of securely sharing keys between two security devices. There are currently two versions of IKE; IKEv1 and IKEv2. 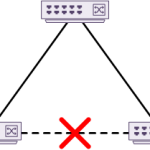 An IPSec connection using IKEv1 has two main phases. Phase 1 – IKE. Endpoints identify themselves, and mutually authenticate. They agree on security parameters, to create SA’s. In phase 1, IKEv1 uses a Diffe-Hellman (DH) key exchange to begin creating the SA between the devices. This creates a tunnel for the negotiation of further security parameters. Diffie Hellman is a mathematical algorithm used to establish shared secrets between two endpoints. This works even though they are using an insecure medium, such as the internet. The responder generates DH values. Three successful exchanges result in the creation of the initial tunnel. In this phase, IPSec establishes SA’s between endpoints using the Phase 1 tunnel. At this point, IPSec negotiation will fail if one side is using PFS, but the other isn’t. A new set of DH keys need to be generated if PFS is used. Any traffic that passes over the tunnel is now encrypted, and will continue to be until the tunnel is terminated. Cisco Support Forum – How does ikev1, ikev2 relate to older ipsec/isakmp?